If you are looking for a food hygiene course in the UK, here we give advice on how to choose the best option for your role, plus details of local training providers near you. 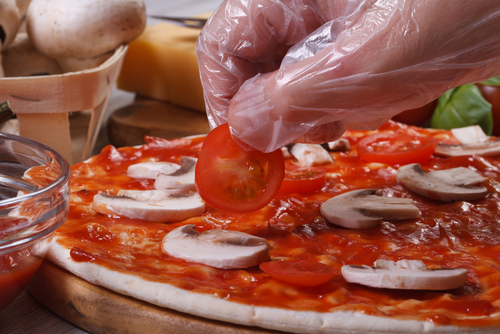 Gaining a recognised food hygiene certificate is an easy and low-cost way of training yourself or your staff in the working processes and standards expected by Local Authority Officers. To ensure that you meet the legal requirements of Food Standards Agency (FSA) guidelines, it’s a good idea to study a food hygiene course that is approved by a recognised awarding body. City & Guilds is one of the the most recognised and popular awarding bodies. Many businesses will expect or train their staff to their standards, and depending on the role, a Level 1, 2 or 3 food safety certificate may be required. Higher levels encompass the knowledge gained in lower courses. Therefore, if you already have a Level 2 Certificate in Food Hygiene, you won’t need to take a Level 1 if your role was to change. If you have a Level 3, there would be no need to later gain a Level 2 or 1. UK food hygiene certificates do not expire, but following a local authority inspection, the office may sometimes advise a refresher course. A Level 2 food hygiene certificate is generally the expected minimum requirement of staff working in Catering, Retail and Manufacturing establishments. A City & Guilds Level 2 Food Hygiene for catering course from Virtual College would be widely recognised by environmental health officers and deliver training in line with EU regulations. Virtual College is the leading provider of short training courses of this nature in the UK, having trained over 3 million learners to date. The training equips personnel with the knowledge and processes to meet the standards that local authorities and enforcement officers look for during assessments. Level 3 food hygiene certificates are expected for professionals working in supervision or management roles, and who are responsible for food safety systems, processes and HACCP plans. A Level 1 food hygiene course is for staff who either work in supporting roles within an environment that produces, prepares or serves food (but does not handle it) or people who only work with low risk (such as fruit and vegetables) or packaged food and drink or food that is not served ‘ready to eat’, such as butchers. 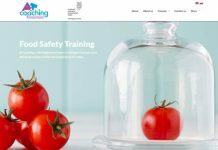 Find more companies offering food safety training in London, UK. Providers of traditional and face to face training for food hygiene and other areas of health and safety. Read about their compliance training and elearning solutions on the Silicon Mines website. For more advice on choosing the best food hygiene training course for you or your staff, feel free to call as here at Learning Light on +44 (0)114 307 2357.